We have established formal ties with other agencies from the region and across the country to provide added reach, relationships and expertise. 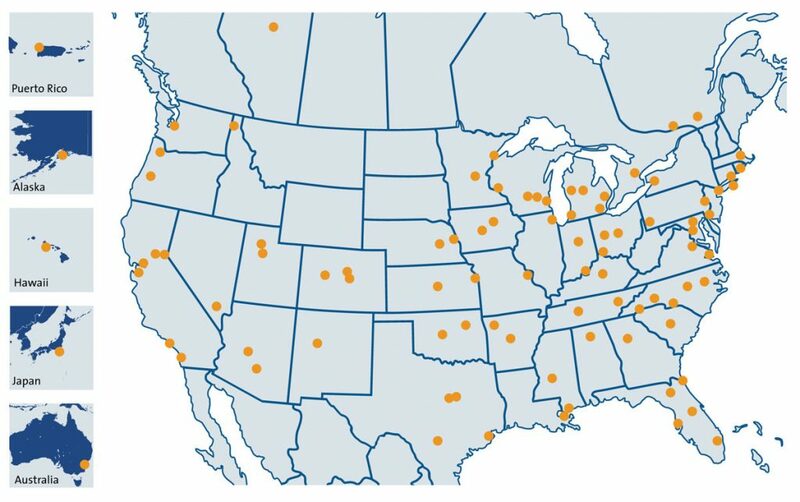 In addition, as a member of the PRSA Counselor’s Academy, we have access to the time and talents of fellow professionals in hundreds of locations as shown on this map. We may tap network members for national or international projects or when we need greater bandwidth to accomplish aggressive and far-reaching programs. We also may work with a firm that offers depth within a special niche that can’t be found elsewhere. This collaboration is seamless for our clients and helps us serve them better.